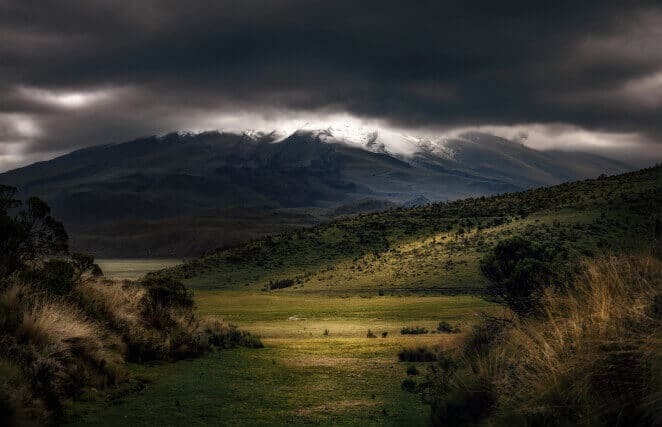 Cotopaxi National Park 2019 Updated Information about visiting Cotopaxi National Park in Ecuador, from how to get there, prices, itineraries and frequently asked questions. Cotopaxi National Park surrounds its namesake Cotopaxi Volcano, one of the highest active volcanoes in the world and one of Ecuador’s most famous sights. Cotopaxi is particularly picturesque because the volcano arises from flat terrain, offering extraordinary views of the peak from anywhere in the park. The massive Cotopaxi Volcano can be visible from as far away as Quito on a clear day. Cotopaxi is not the only volcano located in the park. Cotopaxi National Park is also home to the smaller Sincholagua Volcano and Ruminawi Volcano. 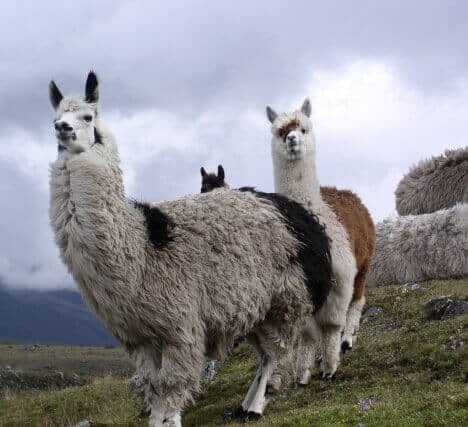 An extra tour to Cotopaxi is a great way to see the Cotopaxi Volcano and some of the other extraordinary scenery that Cotopaxi National Park has to offer. The incredible Cotopaxi Volcano is one of the tallest volcanoes in the world, and is one of Ecuador’s most famous sights. A visit to Cotopaxi National Park to see the volcano is a must-do while traveling in Ecuador. Cotopaxi National Park is located along the main southbound highway out of Quito, only about an hour’s drive from the city. All Ecuador Hop buses heading from Quito to Baños stop at a lookout point to view the Cotopaxi Volcano. If you’d like to take a full Cotopaxi tour with scenic hikes around the national park, read below for more info. 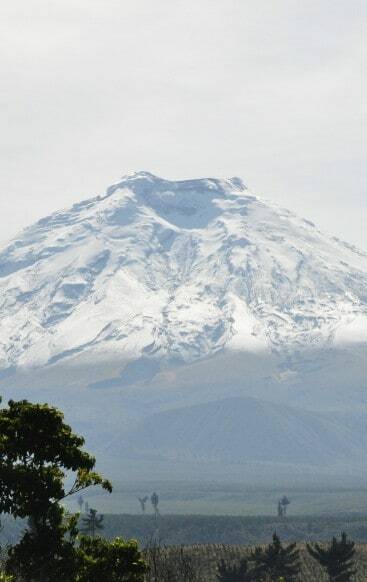 All Ecuador Hop buses make a stop at a lookout point where you can see the Cotopaxi Volcano and take some photos. 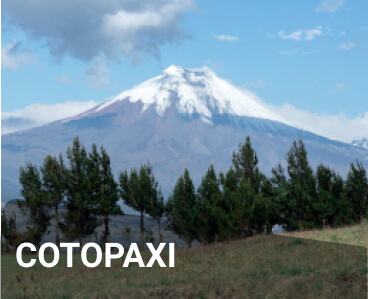 If you’d like to have some extra time to explore Cotopaxi National Park and go for some scenic hikes, then our Cotopaxi extra tour is a great option! Hopsters who’ve bought a pass which travels from Quito to Baños can upgrade their pass with an extra tour to Cotopaxi for just $49. This tour will give you the chance to hop off and explore more of Cotopaxi National Park before continuing to Baños the following morning. All entrance taxes and fees. Hike to the stunning Limpiopungo Lagoon. Visit to Joseé Rivas Refuge. Use of spa facilities at Chuquiragua Lodge. Breakfast (available at the Chuquiragua Lodge). 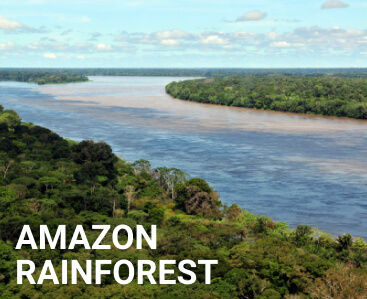 *Costs for accommodation at the Chuquiragua Lodge must be paid directly to the lodge on arrival. Take the chance to order breakfast at the Chuquiragua Lodge before beginning the tour. (not included with pass). Enter Cotopaxi National Park and visit interpretation center. Hike to the Limpiopungo Lagoon, a stunning glacial lake in the shadow of the Cotopaxi Volcano. 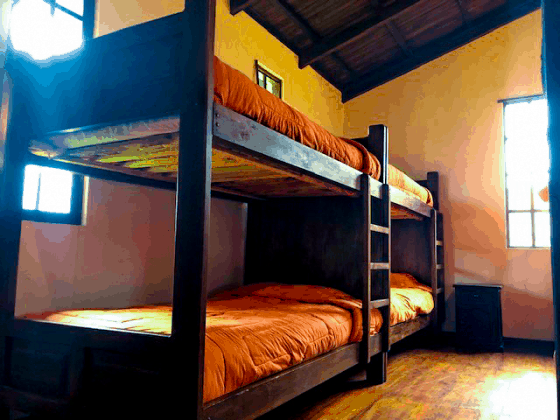 Visit the José Rivas Refuge, the main base camp for the volcano. Hike to the surface of a glacier before continuing to a scenic lookout point for panoramic views of the Cotopaxi Volcano. Return to the Chuquiragua Lodge for an afternoon lunch surrounded by gorgeous landscapes. Free evening at the Chuquiragua Lodge. Use of spa facilities including jacuzzi and sauna is included with your tour. Massages are also available at an additional cost. Cotopaxi National Park is full of scenic hikes where you can enjoy some of the most incredible landscapes in the world. 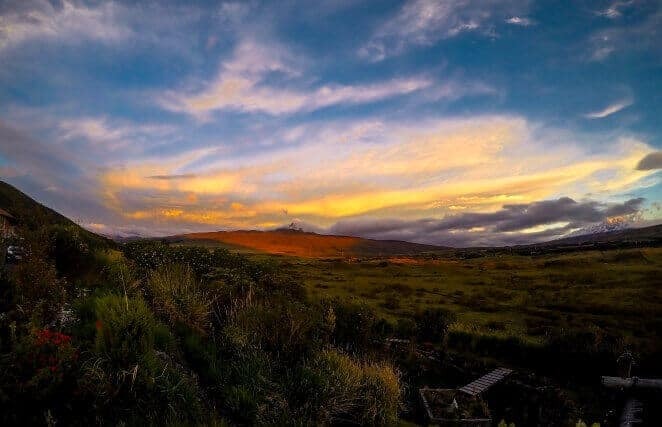 A Cotopaxi tour is a great way to discover the real Ecuador, see some breathtaking scenery and spend some time in one of South America’s most beautiful places. If you’d like to add this extra tour to your itinerary, simply speak to your Ecuador Hop guide to book your spot! Hopsters traveling from Quito to Baños have the option to hop off at Cotopaxi and begin the tour of Cotopaxi National Park the same day. After the tour, you’ll stay at the Chuquiragua Lodge before continuing on towards Baños the next morning. 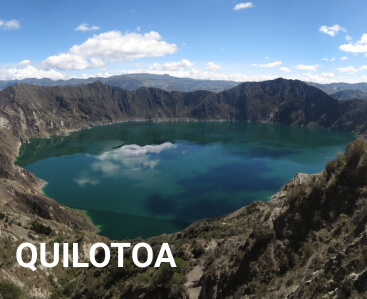 Hopsters traveling from Baños to Quito have the option to hop off at Cotopaxi in the evening, stay the night at the Chuquiragua Lodge and then take the tour the following day before continuing on towards Quito. 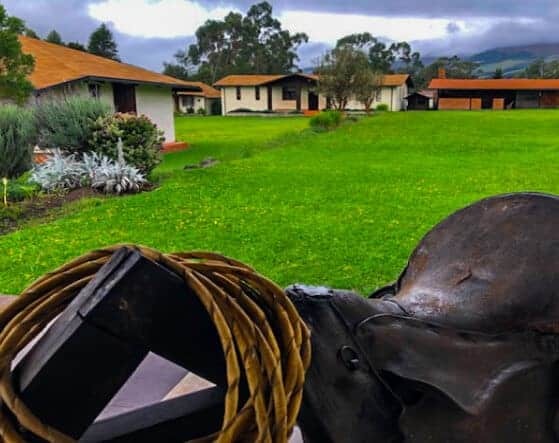 Overnight accommodation for this extra tour to Cotopaxi will be at the lovely Chuquiragua Lodge located in the foothills of the Cotopaxi Volcano. 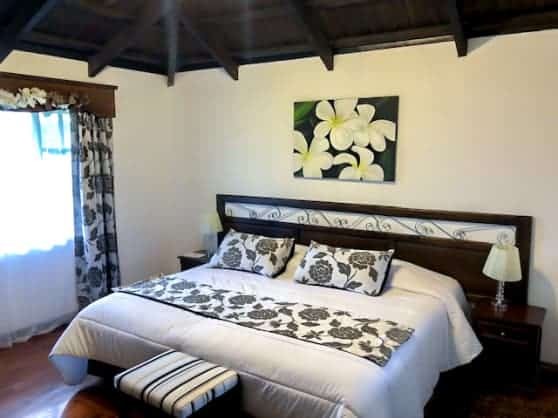 The costs of overnight accommodation are not included in the price of the extra tour, and must be paid directly to the lodge upon arrival. Use of spa facilities (jacuzzi and sauna) is included free with all bookings. Massages are also available at an additional cost. The famous naturalist Alexander von Humboldt attempted to climb the Cotopaxi Volcano in 1802, but was unable to make it to the summit. The first person to reach the actual summit of Cotopaxi was German geologist Wilhelm Reiss, on November 27, 1872. Cotopaxi Volcano has had 87 recorded eruptions, with the last one occurring in August of 2015. When volcanoes erupt, they can cause destructive pyroclastic mudflows known as lahars. Lahars from Cotopaxi have been known to travel as far as the Amazon River basin and the Pacific Ocean after past eruptions. Cotopaxi National Park is one of Ecuador’s most popular tourist attractions, with as many as 200,000 people visiting the park each year to enjoy its spectacular landscapes. 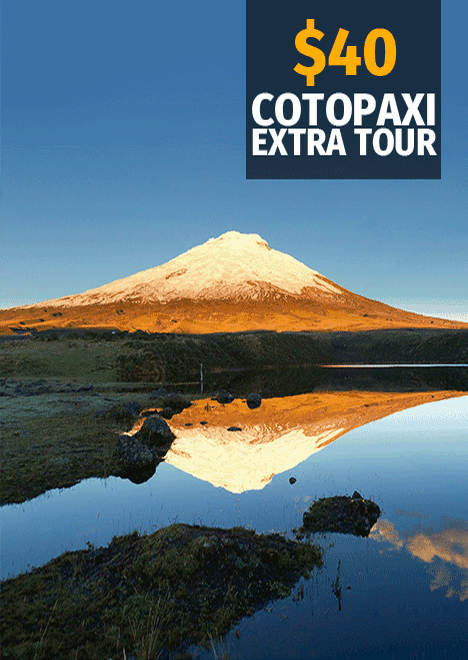 You can book a Cotopaxi tour directly with your Ecuador Hop guide. How often does Cotopaxi erupt? Cotopaxi has erupted as recently as 2015 after laying dormant for more than a hundred years, so this volcano is unpredictable and can erupt at any time. It’s best to do a google search when you plan to go and verify that there has not been a recent eruption affecting the park. 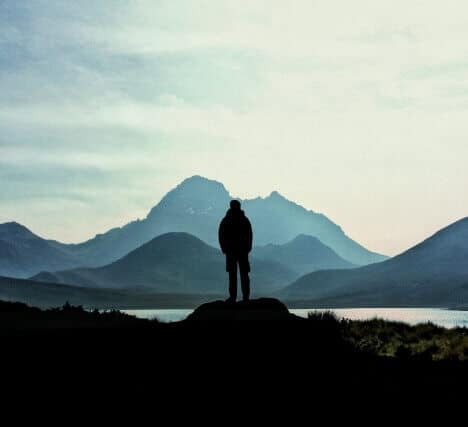 The best way to avoid altitude sickness is to spend the proper amount of time acclimatizing. Try to spend at least a day or two in Quito letting your body adjust before attempting any strenuous hikes.